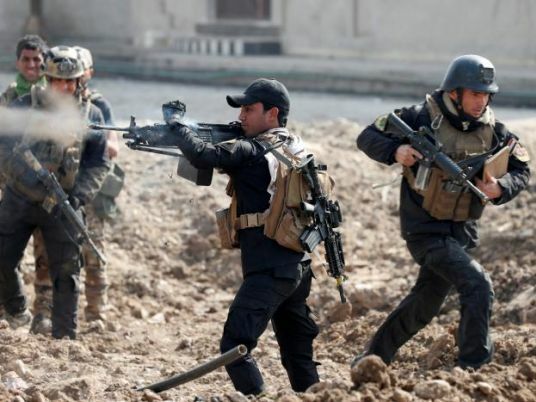 ERBIL, Iraq (warsoor) – Iraqi forces launched an offensive on Saturday to capture Rawa, the last remaining town under Islamic-State control, leaving the group’s self-proclaimed caliphate on the verge of complete defeat. The capture of the town would mark the end of Islamic State’s era of territorial rule over a so-called caliphate that it proclaimed in 2014 across vast swathes of Iraq and Syria. Syria’s army declared victory over the militants on Thursday, after seizing the last substantial town on the border with Iraq. The army and its allies were still fighting Islamic State in desert areas near Albu Kamal, the last town the militant group had held in Syria. Two Iraqi infantry divisions and Sunni tribal forces are participating in the offensive to recapture the small town of Rawa and its surrounding areas along the border with Syria, the Joint Operations Command said in a statement. Last week, Iraqi forces recaptured the larger town of al-Qaim, in what Prime Minister Haider al-Abadi called “record time”, leaving just a few small pockets of land in Islamic State’s hands.